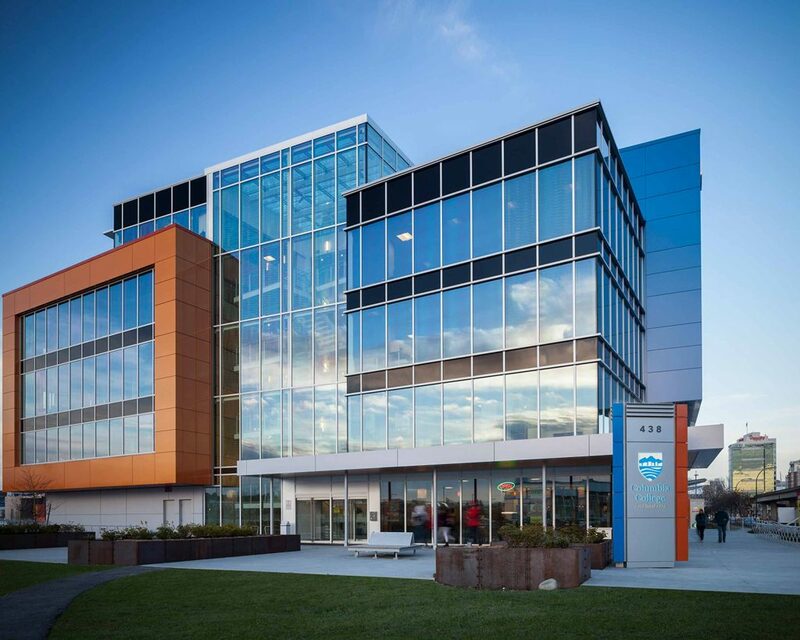 Columbia College’s Main Campus is a five-storey, 73,000 square foot building just east of Vancouver’s downtown core at 438 Terminal Avenue. The building provides well-equipped facilities to students and staff, including science laboratories (Biology, Chemistry, Computer Science, and Physics), a library, and student lounges. Tenants on the ground floor, including Subway, Taco del Mar, and Bibi’s Kitchen, provide food services to students. Underground parking is available and there is easy access to SkyTrain at the nearby Main Street-Science World Station. The Main Campus was inspired by the adjacent railway yard as an important facet of Canadian history and Vancouver’s historic urban landscape. 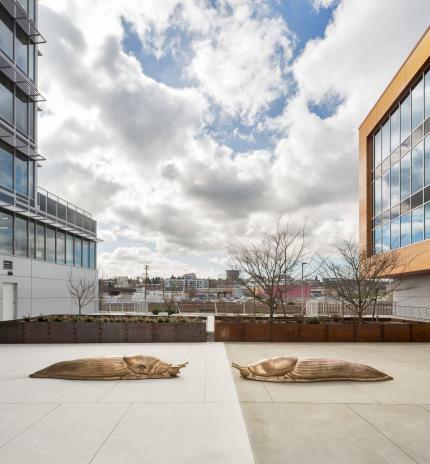 In 2017, 40 bronze slugs of different sizes were installed in and around the college. Commissioned by Columbia College and Rize Alliance as part of their participation in the City of Vancouver’s Public Art Program for Private Development, the artwork, titled A Long Conversation for (Oona), has become associated with the College’s community identity and symbolizes the school’s relationship to its natural surroundings.